Tag Archive | "Tom Male"
Tom C. Male 55 of Sand Lake, died Sunday, July 17, 2016. 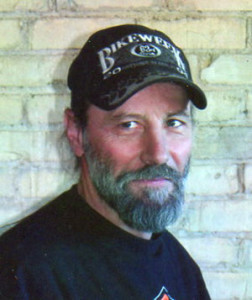 Tom was born September 27, 1960 in Grand Rapids, MI the son of James and Ione (Scholz) Male. He enjoyed riding his motorcycle and was a member of the Eagles and the Eagle Riders. He grew his hair out and donated it to Locks of Love many times and was always looking out for others and putting on benefits for them. Surviving are his daughter, Sadie; grandchildren, Hannah, Mackenzie, and Maddox; sisters, Belinda and Bonnie (Chris); girlfriend, Cheryl; many nieces and nephews. He was preceded in death by his parents, brother, Ron; nephew, Fred. A celebration of his life was held Saturday, July 23 at his home. Arrangements by Bliss-Witters & Pike Funeral Home, Cedar Springs.